This website contains current product information and may differ from the information on the product packaging you may have. If you have any questions, please contact the Consumer Care Center (CCC) at 1-800-755-4008. 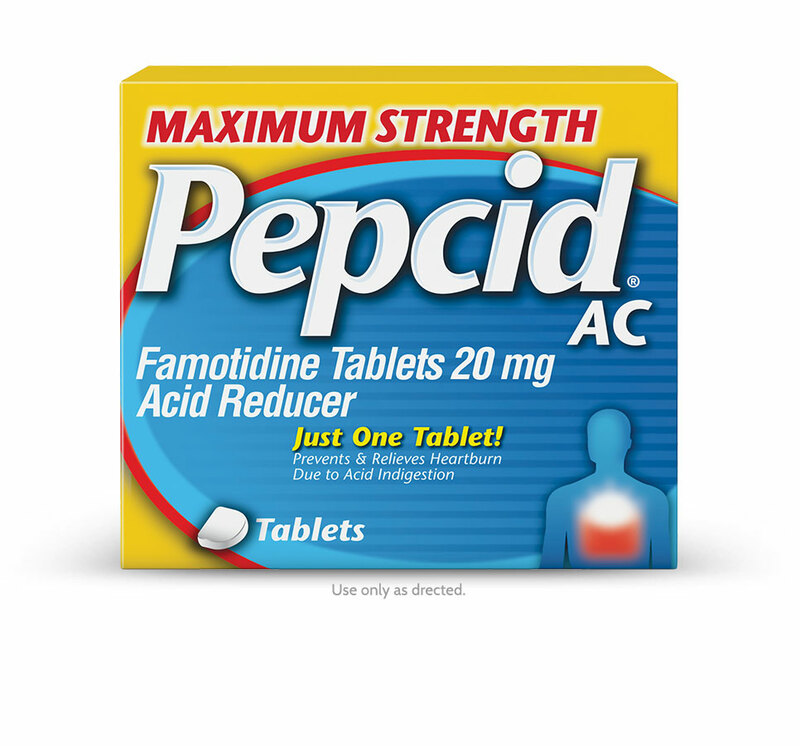 Maximum Strength PEPCID AC® works before, during, or after the start of heartburn. * Prevents heartburn if taken 10 to 60 minutes before a meal. † Based on 9-hour acid control studies during the day and 12-hour acid control studies during the night. Acid control does not imply symptom relief. This stuff is like liquid gold. I have had horrible heart burn and gas for years. Tums do not always work but this stuff does. It works so fast and the pills are so easy to swallow with zero after taste. This has saved me many trips to the ER when my heart burn was so bad it caused chest pain. It's a life saver for gas relief and heart burn! I dont leave the house without it in my purse. I highly recommend and give it 100 stars. I would advise everyone to not take this product. The side effects are far more worse than having heartburn. My boyfriend had real bad heartburn and took maximum strength Pepcid Ac and got hives all over his chest, arms ,and neck. The hives got worse and we're itching and he's had it for 3 days now. He should not have to go through this. We are very upset and not satisfied what so ever. Hi there, we're so sorry to hear about your boyfriend's experience with our product! As this is not at all typical, we'd like to learn more and see how we can make things right. Please give us a call at 1-800-755-4008 from 9AM - 5:30PM ET, Monday through Friday. Look forward to hearing from you! My heartburn and indigestion comes fast. This is the only product I have ever tried that attacks it fast and get me going again. I have had reflux for mNy years and this is the only product that stops my reflux. I can take this before reflux occurs and even after I have reflux and it always helps. I am at s point now where I do t leave home without taking it with me because I know if I have any issues I can. Take it and I will feel better. I have frequent heartburn and use Pepcid's a lot. They are easy to swallow and have no after taste. They work very quickly. Fast working instant relief! Would definitely recommend it for fast heartburn relief!